"The #1 Fishing Destination in North America" - Field and Stream magazine, 2006. 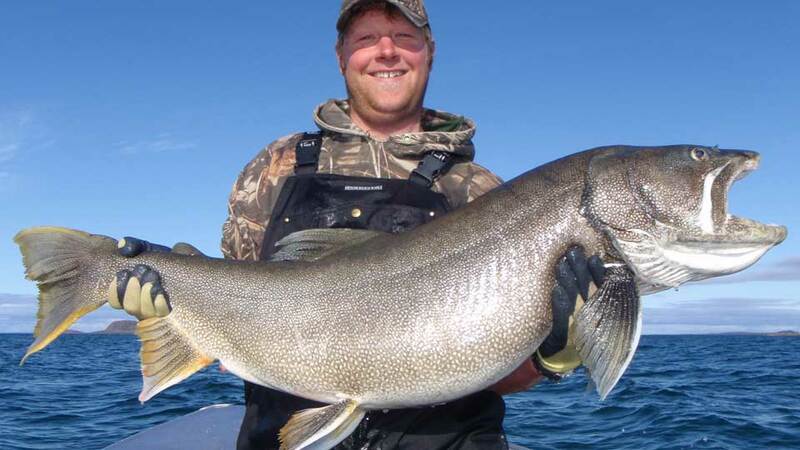 Plummer’s Arctic Lodges has offered the best lake trout fishing for over fifty years on Great Bear Lake and Great Slave Lake, located in Canada’s Northwest Territories. Bear Lake's 2019 season runs June 29 - August 24. 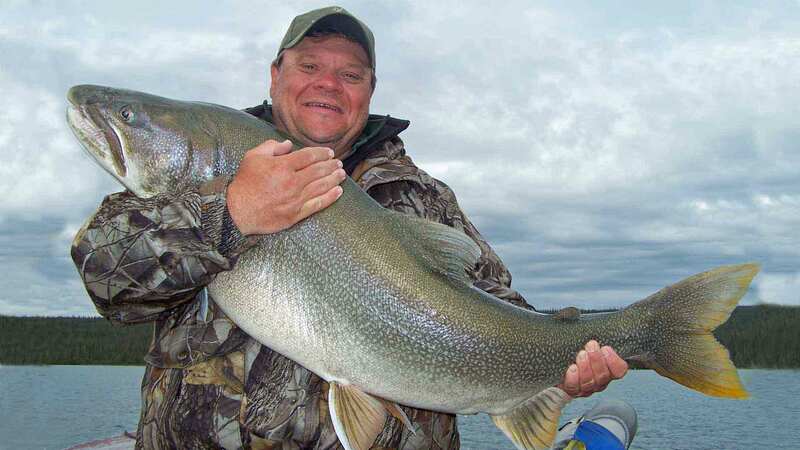 Great Bear offers trophy lake trout, Arctic grayling, pike fishing and access to Tree River. 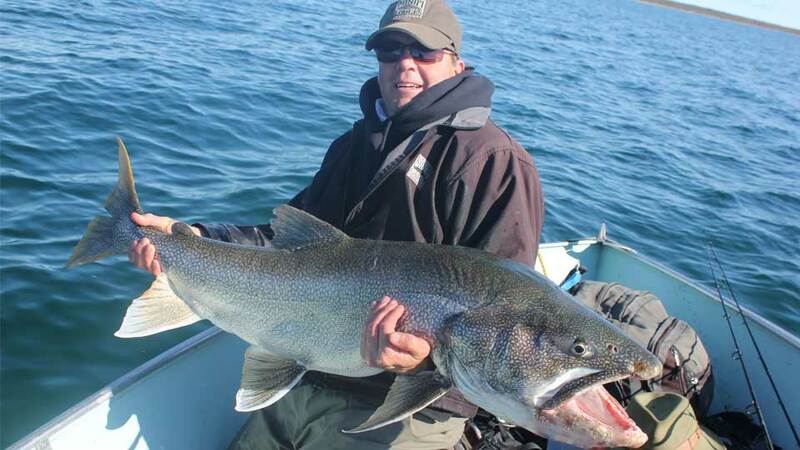 Plummer's official IGFA Lake Trout record for Great Bear Lake is 72-pounds. An unofficial world record of 78.85 pounds is pending. On the edge of the tree line and hundreds of miles from civilization, Great Bear is the fourth largest lake in North America and is fished by only 300 lucky anglers each year. 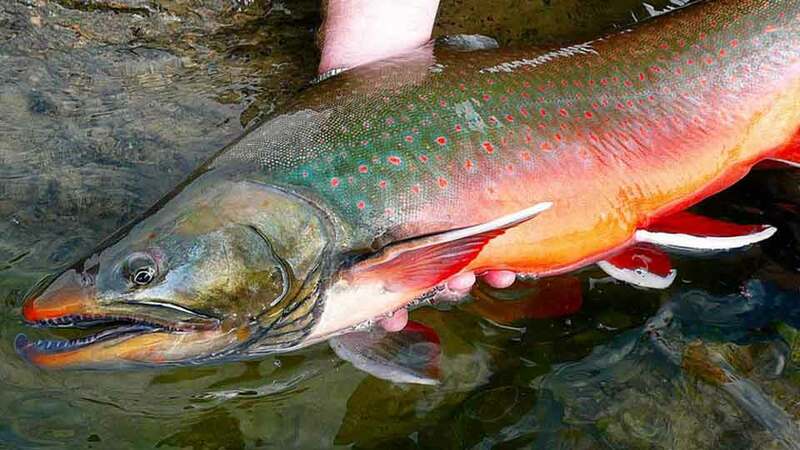 Great Bear boasts the All-Tackle World Records for both trout and grayling, as well as dozens of line-class records. Plummer's stations their two turbine Otters at Great Bear's 5,600 ft airstrip, making it their only lodge that offers daily fly-out opportunities (for an added fee). 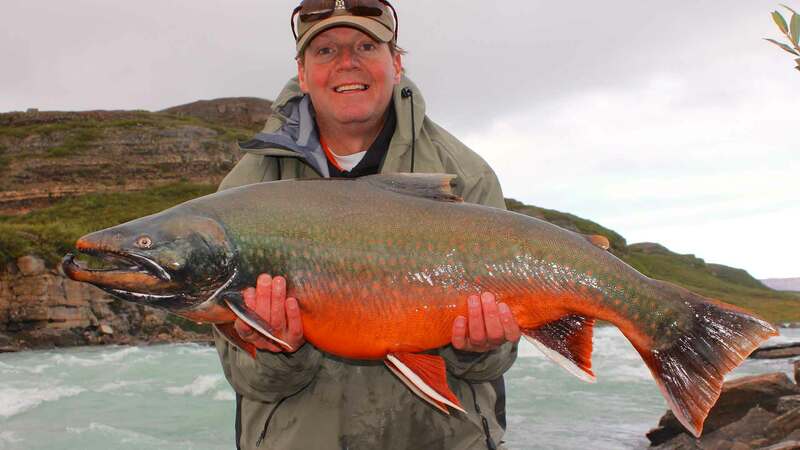 Great Bear is also the only lodge that offers anglers access to Arctic char fishing, including the world-famous Tree River. Boats: 18' custom-built Lund boats and 40 h.p. four-stroke motors. 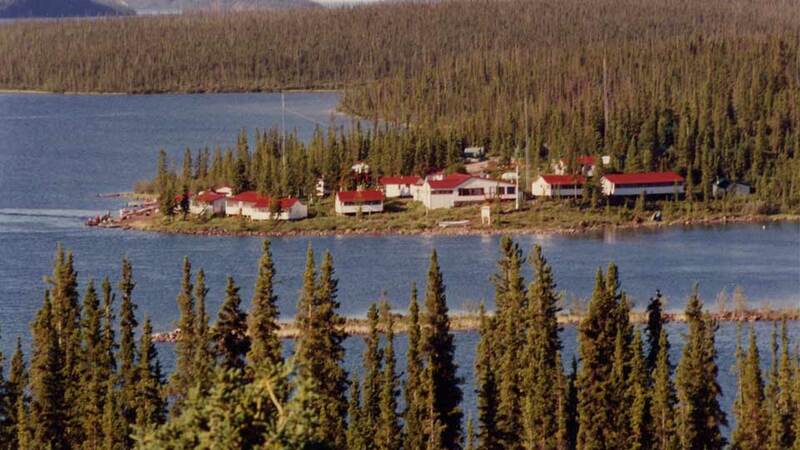 Great Bear Lake Lodge hosts up to 44-guests and is the perfect corporate getaway. The Lodge has a Red Seal Chef—Canada's standard for excellence—plus, a fully-stocked bar, fireplace, pool table onsite masseuse, wine and cheese night, tackle shop, internet access, satellite phone, meeting facilities, around-the-clock electricity. Private guests cabins with attached bathrooms. Great Bear is home to indescribable beauty, century-old tee-pees, and wildlife viewing. You may see caribou, moose, grizzly bears, and muskox. Tree River's 2019 season runs June 29 - August 17. 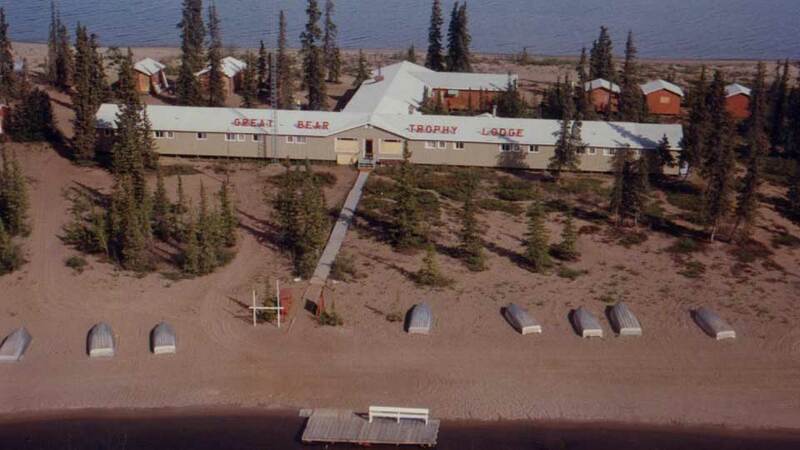 Book an overnight stay from Great Bear Lake Lodge or a one-week trip from Great Bear Lake is available the week of August 17-24, 2019. 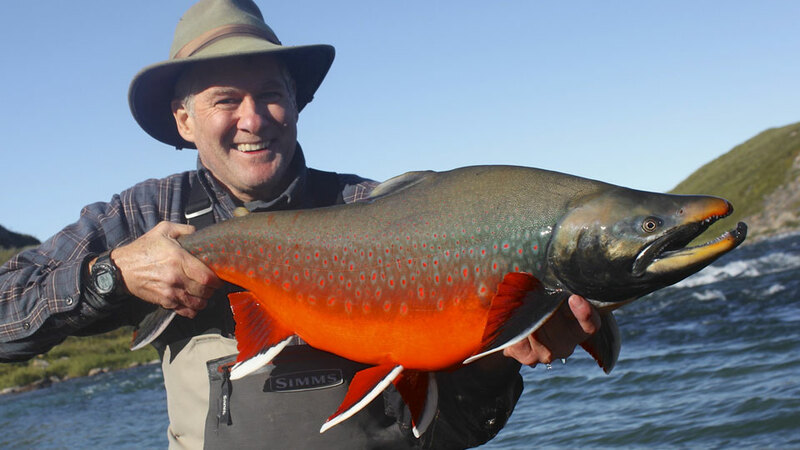 The Tree River is only four miles from the Arctic Ocean and is known for its trophy Arctic char and holds the current 32-pound world record. Each year several dozen char are caught in the 20-pound range. Many of their guests regard the Tree River as a life-changing experience. You'll fly or spin fish from shore; both are successful. Single barbless hooks only and, all fishing is catch-and-release with the exception of fish for the shorelunch. Boats: 18' Lund boats with 40 h.p. motors move anglers from place to place. Anglers will hike to several of the pools. 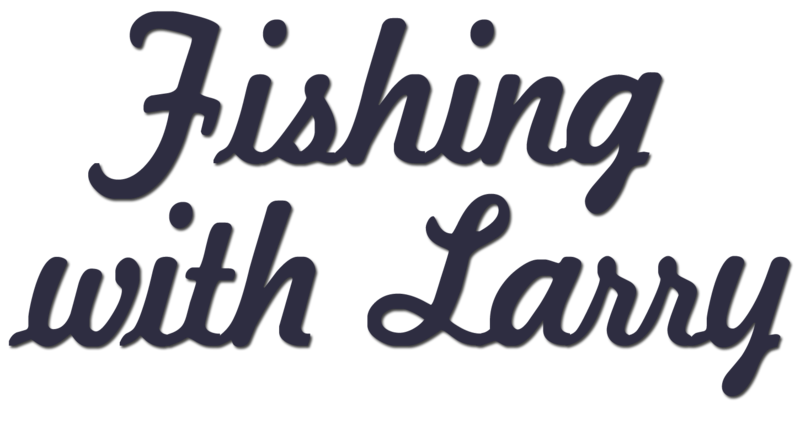 Fishing Equipment: Rods and reels are available for your use. Flies and lures are not supplied. A detailed list of what to bring is in our confirmation packet. Tree River Camp: The rustic camp hosts twelve anglers. Canvas-roofed cabins sleep four. Oil heat and 24-hour electricity. In the kitchen, you'll enjoy home-style meals with fresh bread and baked goods. Plummer's will make every effort to ensure that your trip proceeds on schedule, but due to the proximity of the Arctic Ocean, weather delays are common, and Plummer's cannot be held responsible for any extra costs incurred due to uncooperative weather. from Great Bear Lake Lodge $1,045.00 p.p. "Our group split up heading upstream from camp on both sides of the river. This late in the year, most of the char were in the upper part, which was the portion with the high-velocity flows and torturous rapids. The water was getting more and more turbid, making pockets of water more difficult to detect. We finally got the point where we had to guess where there might be good holding water for fish and then fish these areas with intense focus. I had worked my way upriver for nearly two miles with no sightings of fish or any strikes. I tried both pixie spoons and flies, continuously changing patterns that might finally attract that monster char. I was nearly up to what is known as the second waterfall, a 4-6 foot drop. The char typically pool up below this barrier, so we focused on this area. My buddy, Jim, hooked the first char of the trip in a tiny pocket of water behind a rock. The fish took a silver and chartreuse fly. As soon as that fish was released, he immediately hooked into a second fish that was slightly larger. Both fish were silver females that were 10 and 12 pounds, respectively." 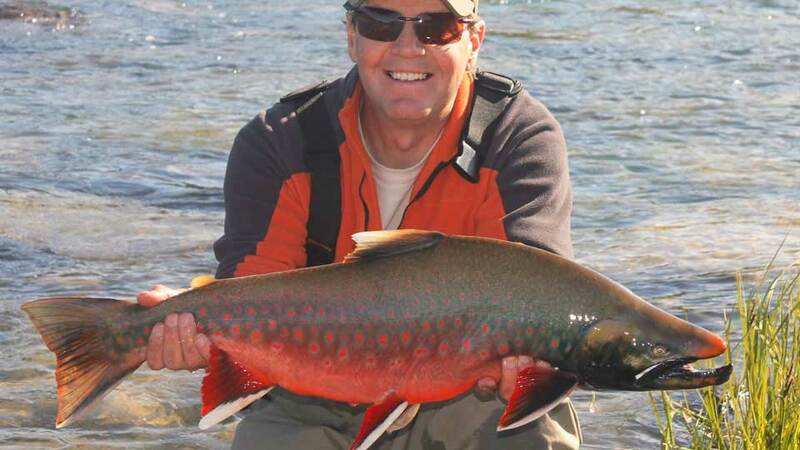 Click here for Mike's Tree River Char article. The roundtrip charter flight from Yellowknife to the Lodge is included in your package. Plummer's Lodges can only be reached by floatplane. You'll spend Friday night in Yellowknife; the hotel night is not included in the package. On Saturday morning, a shuttle will take you from the hotel to the charter terminal for your flight. Mid-morning, you'll take a 90-minute charter flight, arriving at Great Bear Lake Lodge around lunch time. 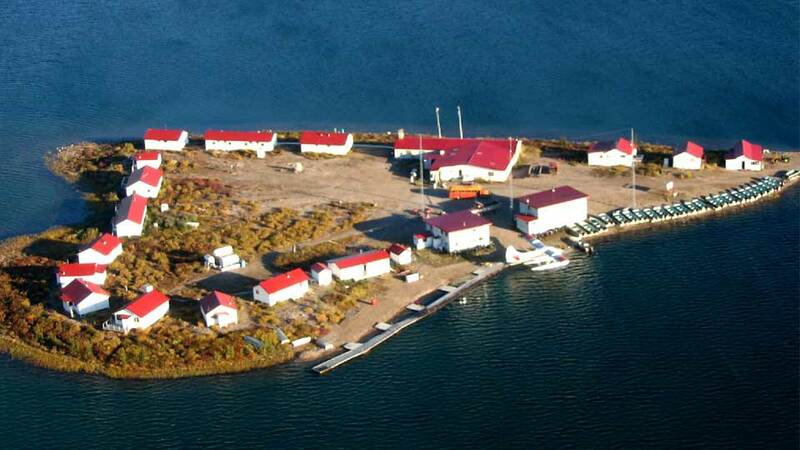 Guests for the Arctic Circle Outpost will fly to Great Bear Lake Lodge, enjoy lunch at the Lodge and then board a floatplane for Arctic Circle. Guests for Trophy Lodge will fly directly from Yellowknife to Trophy Lodge. Guests for Great Slave Lake Lodge depart Yellowknife at 7:00 a.m. for a 30-minute flight to the Lodge and enjoy breakfast upon arrival. Several major airlines fly into Yellowknife from Calgary, Alberta, and Edmonton, Alberta. Meals at Great Bear Lake Lodge, Great Slave Lake at and Tree River Camp include hot breakfasts, daily shore lunches, and hearty dinners. Alcohol: Beer, wine, and liquor are available at the Lodges for an additional cost. Great Slave Lake Lodge and Great Bear Lake Lodge both have fully stocked bars. 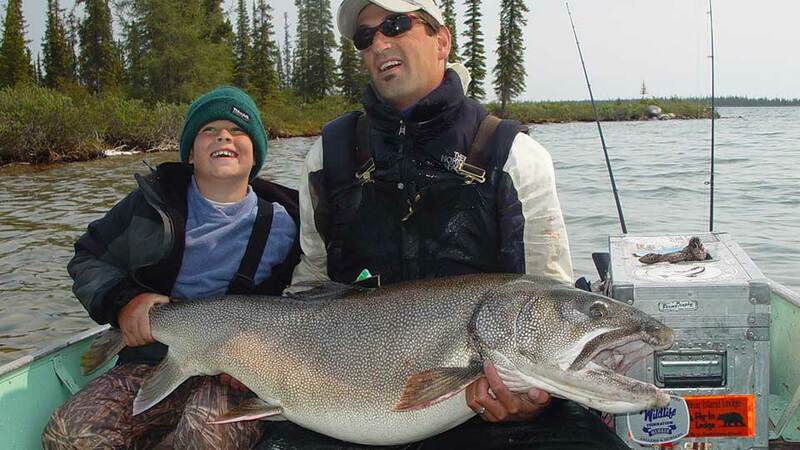 Roundtrip flight between the Lodge and Yellowknife, all meals, accommodations, and daily cabin service at the Lodge; an experienced professional fishing guide for every two guests; the use of rods and reels, and the use of boats and fuel. Airfare to Yellowknife, hotel stays coming to and leaving the Lodge, fishing license, fishing tackle, liquor, gratuities, shop purchases, 5% GST, and anything not mentioned under inclusions. 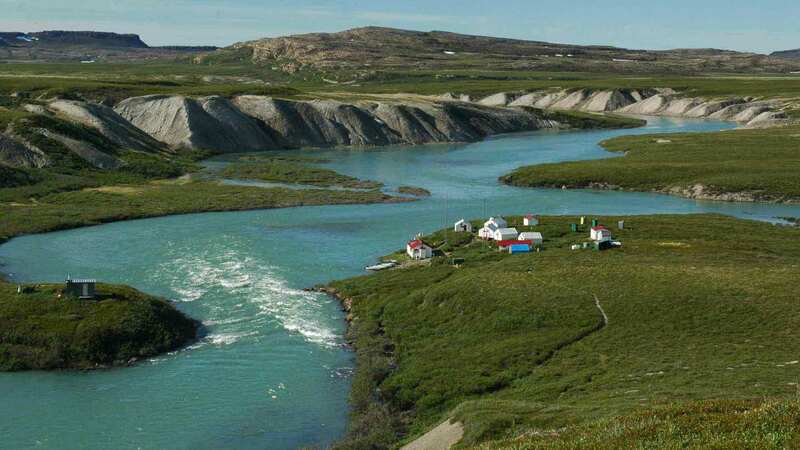 Request Plummer's Arctic Lodges information packet. Catch-and-release or "Hug and Release"